The Elephant Creeper is a very large climber whose length is over 8-10 meters. It bears stout stems that are covered with white woolly hairs.It belongs to the plant family Convolvulacea.The large alternate leaves are 7.5-30 cm. or more long,cordate,bright green on top but hairy and white beneath. The rose-purple,bellshaped flowera have a prominent white and hairy calyx. The round fruit 2cm. in diameter,with a short sharp point. Elephant Creeper is a vigorous vine native to India, introduced world-wide. It has large, leathery heart-shaped leaves, which are white on the underside due to hairs. 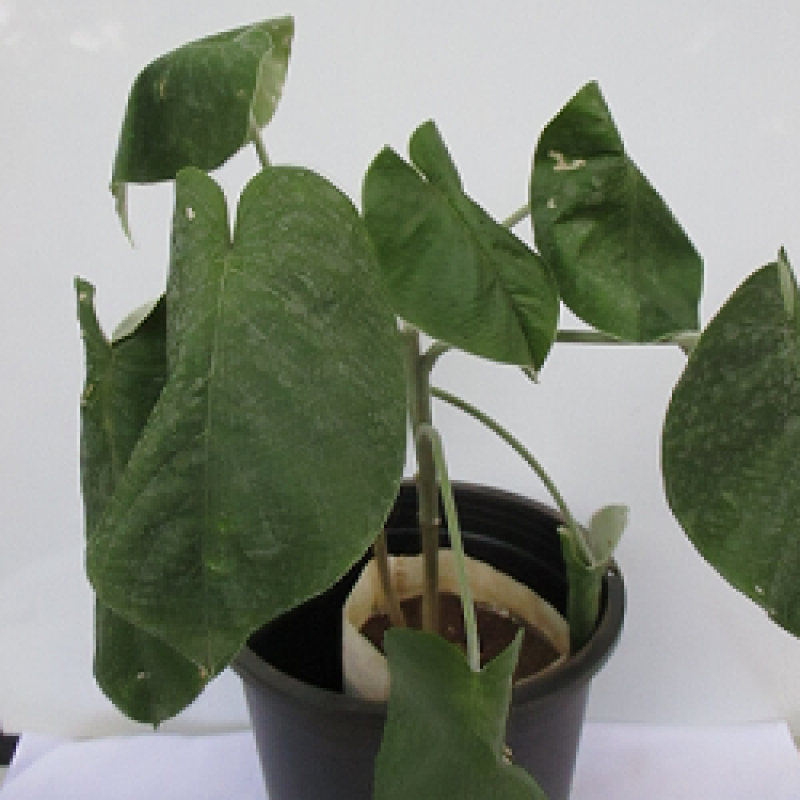 It is called elephant creeper because of the large leaves which look like elephant ears. Leaf blades are 15-25 cm long, and 13-20 cm wide, heart-shaped. Trumpet-shaped flowers are borne in cymes, on long, white-velvety stalks. Sepals are 1.3-1.5 cm long, velvety like the leaves. Flower-stalks are up to 15 cm long. Flowers are 5-7.5 cm long, with a short tube and bell-shaped limb, lavender to pink, the throat being of a darker shade. The flowers are followed by hard, woody capsules, which when they ripen break open to resemble miniature roses. The toxic seeds should not be eaten as they contain alkaloids. Promotes the flow of urine,relieves gonnorrhoea,strangury or painful urination and chronic ulcers. Synovitis or inflammation of the synovial membrane. The decoction of the root is used to promote the flow of urine,relieve gonorrhoea,strangury or painful urination,and chronic ulcers. The above decoction is also used for rheumatism and to control nervous disorders. The cruhed leaves are applied over wounds and skin diseases. The powdered root is given with milk to take care of synovitis.